Around two in 10 people in the UK suffer with IBS, according to Bupa. It's one of those conditions that is tricky to find a cause and, in turn, a fix for. An unhappy gut can be miserable and pretty debilitating, but there is a probiotic out there called Symprove that has been found to ease symptoms for sufferers. But can it help someone without IBS to feel better? You see, with more and more studies finding links between the health of our insides and the state of our mind, I wanted to give this probiotic a try over the winter period to see if it could combat the onslaught of rich holiday foods and the darker, more miserable weather. While I don't suffer with IBS, I get some of the symptoms when I start eating richer foods or drinking more alcohol (hello, Christmas). I'm also the type of person who gets a little down on June 21 (the longest day) because it means the nights are going to start drawing in (crazy, I know). But it puts me in the perfect position to put this supposedly wonder probiotic to the test. Just like me, you may not suffer with IBS, but there are plenty of factors that can put your unique microbiome (a colony of over 1000 species of bacteria) out of whack. Poor diet, stress and antibiotics can all play a part. One piece of the wellness puzzle is to keep this delicate microbiome in check. Keep scrolling for my review of Symprove probiotic and to find out how it could help. Symprove is a UK-based company that has created a probiotic formula that really does work. 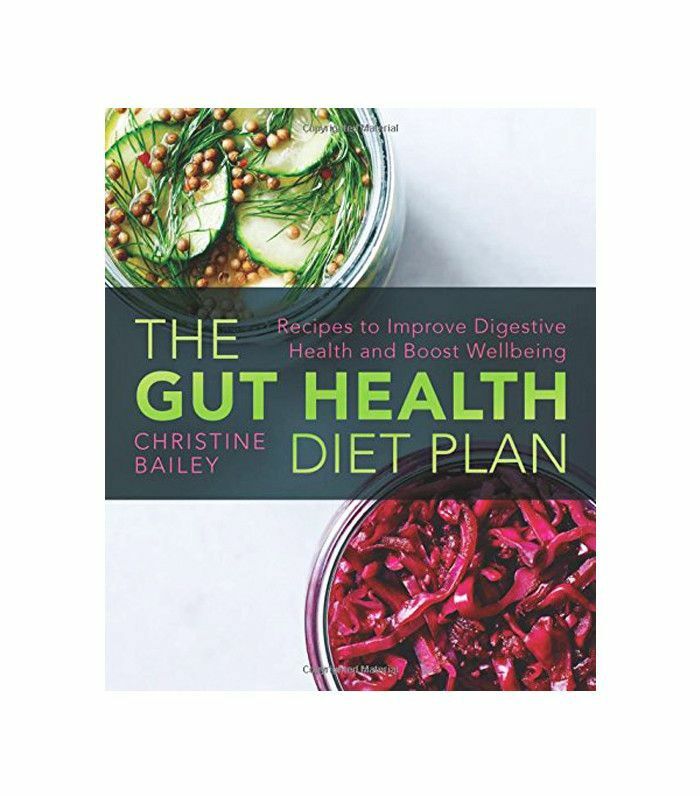 It contains four strains of bacteria that are found in the guts of healthy people: L. rhamnosus, E. faecium, L. acidophilus and L. plantarum. The four strains work together to keep our guts healthy and balanced. Every millilitre of Symprove contains about 200 million live, active bacteria. So how do we know it works? Back in 2014, Kings College London carried out an independent study on eight well-known products containing bacteria. The researchers tested the products in three areas: that it arrived in a live state, survived stomach acid transit and thrived in the target area of the gut. Symprove was the only product to pass all three tests. Keep scrolling to find out why Symprove works where others fail. Probiotics found in food or dairy products are far less likely to survive in the gut. Why? Because they trigger our digestive system to produce acid and enzymes, breaking down the food and the bacteria contained within. Symprove delivers its bacteria via a water-based formula (it's gluten- and dairy-free). You have to consume it on an empty stomach to ensure optimal delivery. 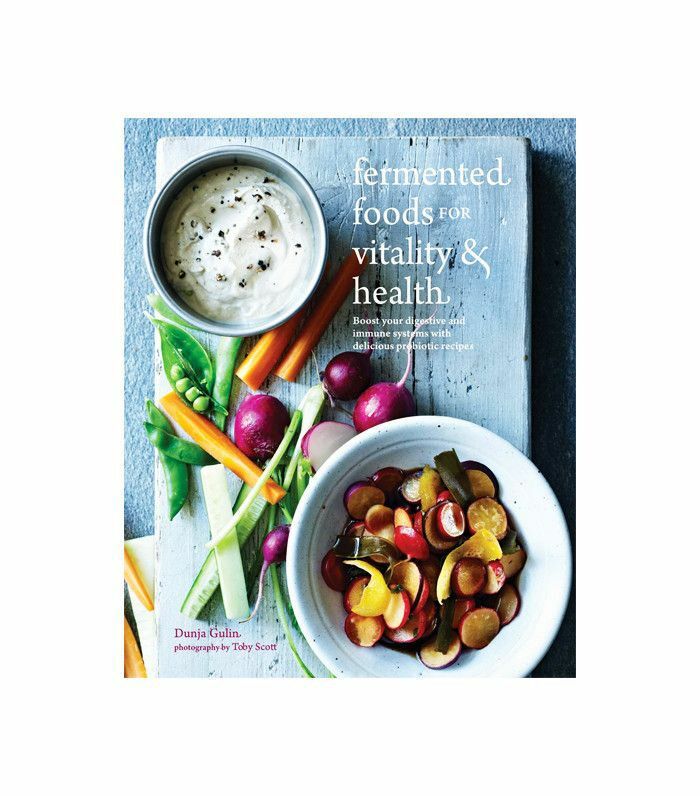 Because the four strains are found in the guts of healthy people, our body recognises them and they can work to thrive. So each day you take Symprove you're topping up your good bacteria. 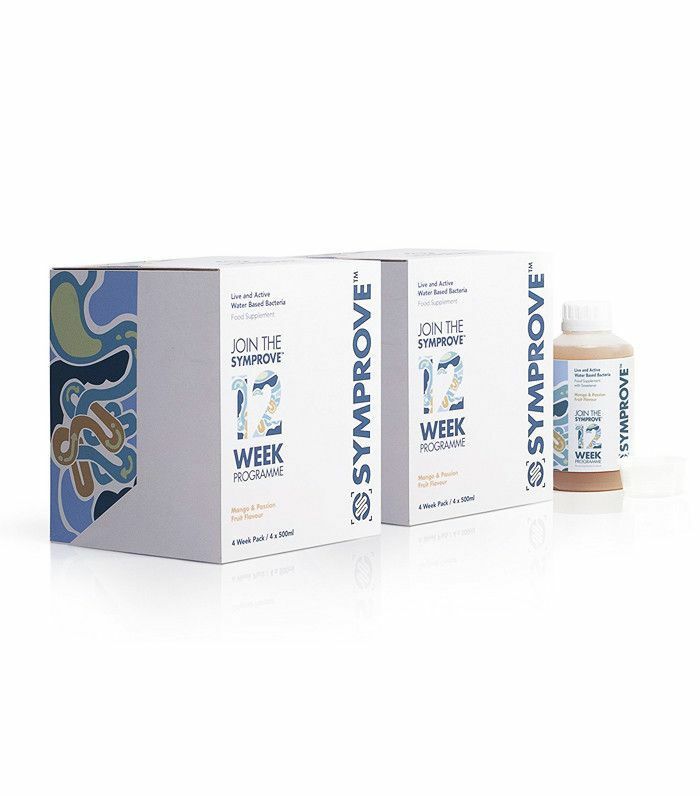 The product is designed to be taken every day for 12 weeks, but because Symprove is so confident you'll stick with it, you only have to pay for the first eight weeks, which works out at around £2 per day (less than a takeout coffee). After the 12 weeks, you can buy individual maintenance packs to take when you feel you need a boost. Some people do the 12-week programme once; others do it yearly or more. I'd been recommended Symprove a few years back by a well-respected beauty and wellness journalist when I was suffering with some digestive issues. More recently another fitness editor friend of mine finished the 12-week course and was raving about how great she felt. So I did what we all do, I googled online reviews: "Just so happy I was recommended it," raved one. "I am an avid fan and would highly recommend anyone to try it out. It certainly made a big difference to me," wrote another. I've never been very good at sticking to taking supplements, and the website states that "There would be no harm suffered by missing a day or two of Symprove, but the beneficial effect relies on continued use for a 12 week period to rebalance the system. It is likely that if Symprove is stopped for more than a few days, then it may be sensible to restart the programme." I knew I had to be dedicated. The bottles, once opened, need to be refrigerated so I have missed a day here or there where I've been away from home, but nothing too long to warrant starting again from scratch. Because you have to take it on an empty stomach, I have made it part of my morning routine: Shower, brush teeth, get dressed, down Symprove and go. You want to wait at least 10 minutes until eating (but the longer the better), so by the time I'm at my desk an hour later, I can have breakfast. If you have to eat on waking, then you can take Symprove two hours after your evening meal and it will work just as well. You drink 60ml each day (it comes with a measuring cup). It tastes okay, it's not the best thing in the world. Sort of fruity and sour yet also sweet. You definitely get used to it, and I promise it's totally drinkable. I'm onto my second four-week pack and there are some marked improvements. During Christmas, my belly stayed flat (I do suffer with bloating when eating rich foods, apologies if that's TMI), and I also find winter incredibly depressing; it's always a real struggle to function each day with a smile on my face. I'm always a bit lacklustre at this time of year. Besides Symprove, I haven't changed my routine, yet I've breezed through the season. I've had more energy than previous winters (or even months), and I've felt more positive, motivated and generally happier. Of course, I'm not saying Symprove is a complete miracle, it could have been a coincidence that I've felt better this year. The first week I took Symprove I was miserable, for no apparent reason, and I haven't been completely perfect when it comes to my digestive system, but knowing that it's scientifically proven to be doing good things in my gut and wanting to take a more well-rounded approach to wellness this year, I'm not likely to risk things by giving it up anytime soon, I'll be finishing the 12-week programme and embarking on it annually from now on. 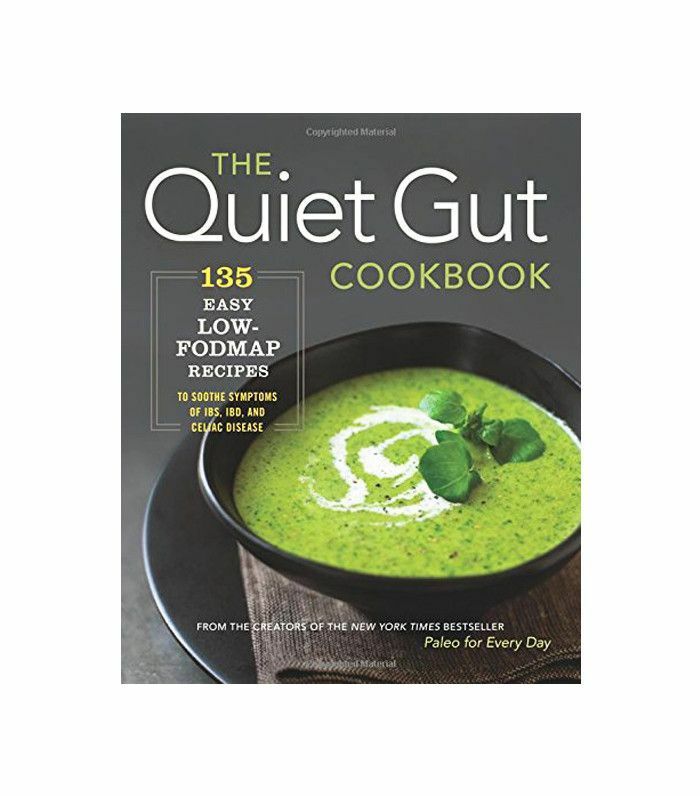 Want to give your gut some love? You can buy Symprove online here, a 12-week course (£158) or 4 weeks (£79). Otherwise, you can buy the 12-week pack at Amazon. Next up! How different foods affect the way your skin ages.